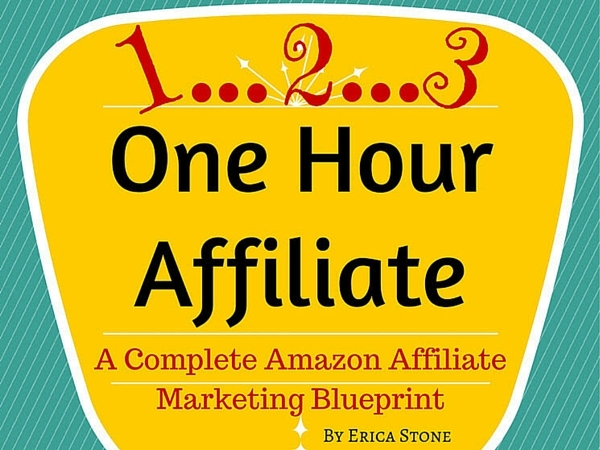 I started implementing Erica Stone’s 1…2…3 One Hour Affiliate in December and after a false start I made some progress. My first attempt got deleted or unpublished by Blogger for not complying with their terms. I wrote Erica and she gave me some tips on how to write the posts so that they don’t trigger the Blogger compliance algorithm. The posts are short and quick to do – about 15 – 20 minutes is all it takes. They involve very little writing with a product picture and links back to Amazon. That is all. This is what causes the issue I think. You write so little it is too easy to be generic. If you don’t own the product it gets a little harder to have a unique voice with it but this is where you need to give your impression of it from your own words and why you like it or someone else might like it. This is easier if you’ve chosen a niche that you have some knowledge and interest in. The second blog is still up. No dreaded notices received. I did have plans of posting on a daily basis to it but I changed my mind after the 8 January which was the last day I posted to it. With my Extreme Review sites getting traction and earning income I decided a better use of my time at this stage was writing more content for them. As well as product posts I also posted videos and general articles about the niche I chose in the ratio of 1 for 1 just to help in preventing “Blogger” being annoyed about the blog. The total posts I now have up is 30 with 15 posts of each type. There isn’t a lot of traffic coming to the site. It probably needs more traffic coming to it to get real traction in the search engines. There is a little bit of good news on its performance in terms of converting the limited traffic to an income – it’s not a lot! From the site I’ve had 2 clicks to Amazon and 1 sale with a commission of $1.33. Amazing stuff! So it is possible for these sites to earn an income even with limited work on them! To my mind there is no doubt you can make Erica Stone’s 1…2…3 One Hour Affiliate work and build an income with it. You do need to provide a unique perspective on the posts (as you do with anything on internet). It is quick to post. However, for me, rightly or wrongly, I’m going to continue my focus on building my Extreme Review sites for now. Which I think is the sensible thing for me to do as that is where I’m having the most success and I’m building on established sites rather that starting out. There is only so much time in the day after all. Later in the year I will give this another burst of effort to get more up in time for the Christmas rush but for now it goes on hold. I’ll update in my monthly revenue reports as and when it earns income.